Oh Walmart, you're full of surprises. 1. A chic as heck striped jumpsuit that'll have you looking like you just strutted off a runway. 2. 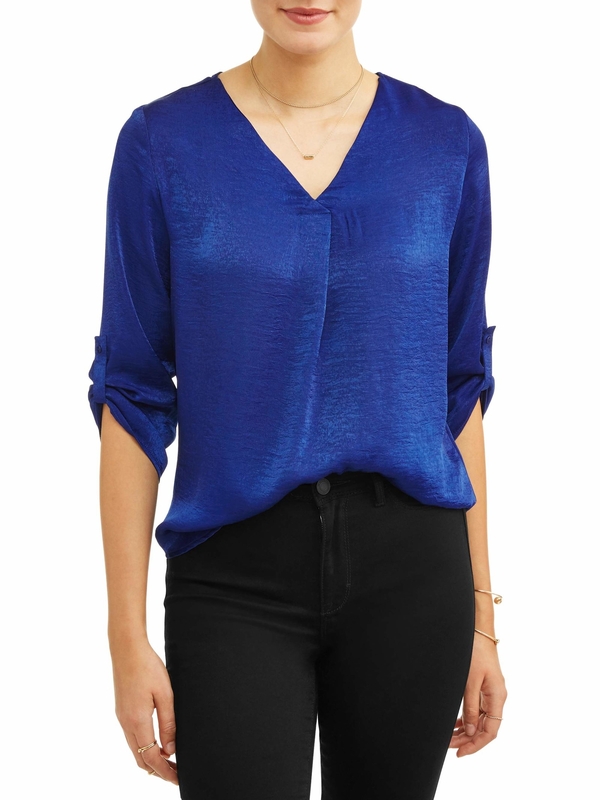 A richly-hued yet amazingly affordable satin blouse sure to become your new go-to layering piece for the office. 3. 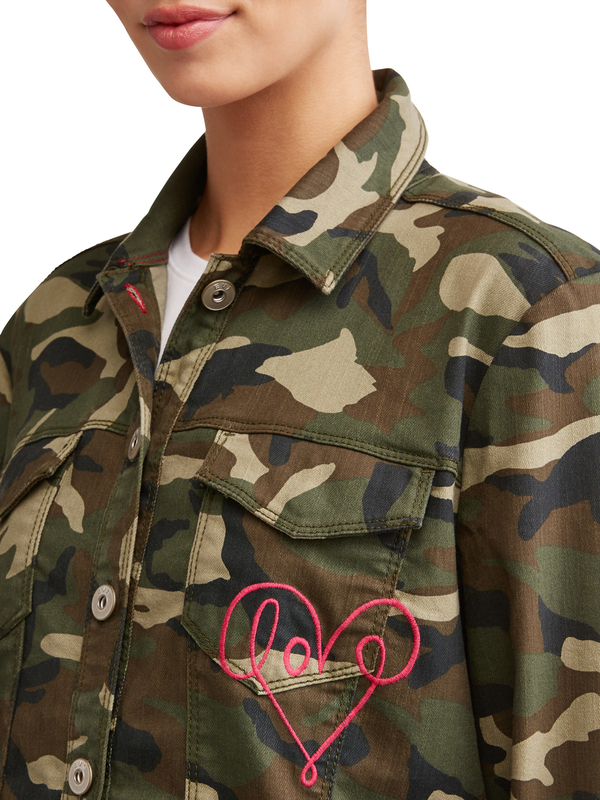 A trendy camo jacket from Ellen DeGeneres' Walmart line that may look tough, but has a sweet embroidered message. 4. 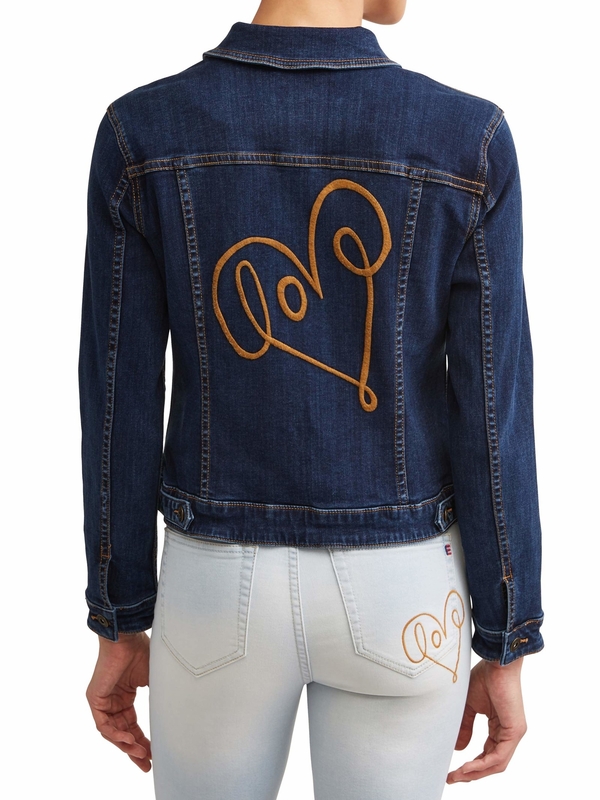 Or a dark-wash jean jacket with the same lovely design. 5. A funky striped sweater to help you understand that SpongeBob was right — the best time to wear it is all the time. 6. A metallic faux leather bomber jacket that's truly the bomb dot com. 7. 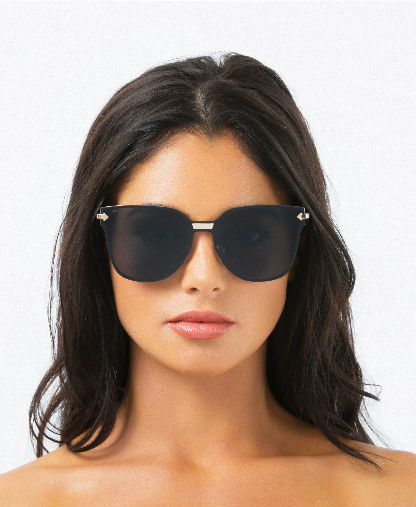 Movie star-worthy sunglasses by fan-favorite brand Prive Revaux sure to have you made in the shade. 8. Floral jogger pants that are way more stylish than basic sweats. 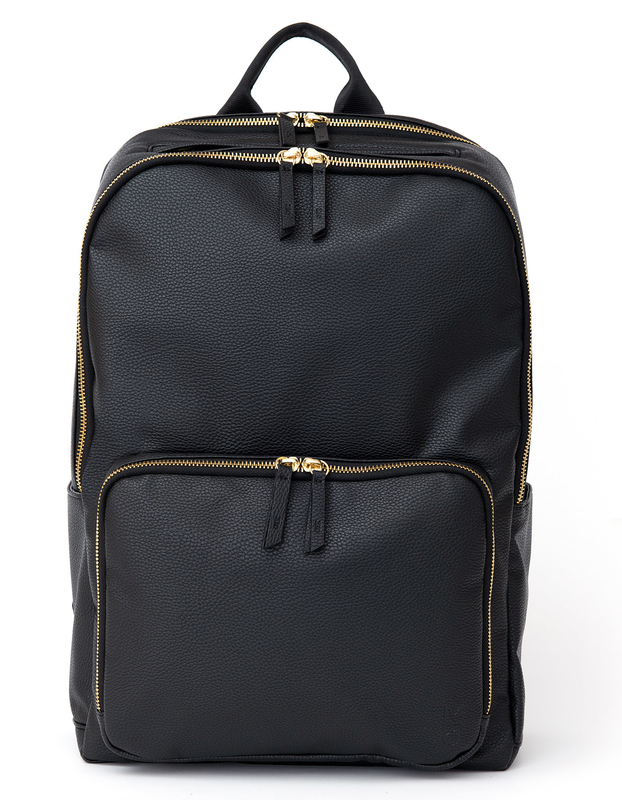 Honestly, just add a pleather jacket and ankle booties and you've got a super cute weekend outfit! 9. Pretty pastel drop earrings to have you feeling anything but blue. 10. 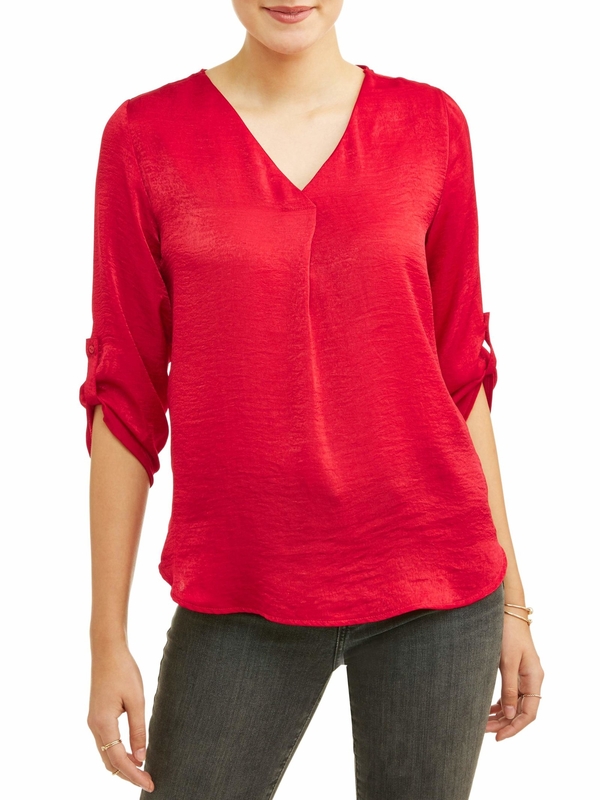 A comfy knit collared top that's a step up from a basic tee but still soft. 11. 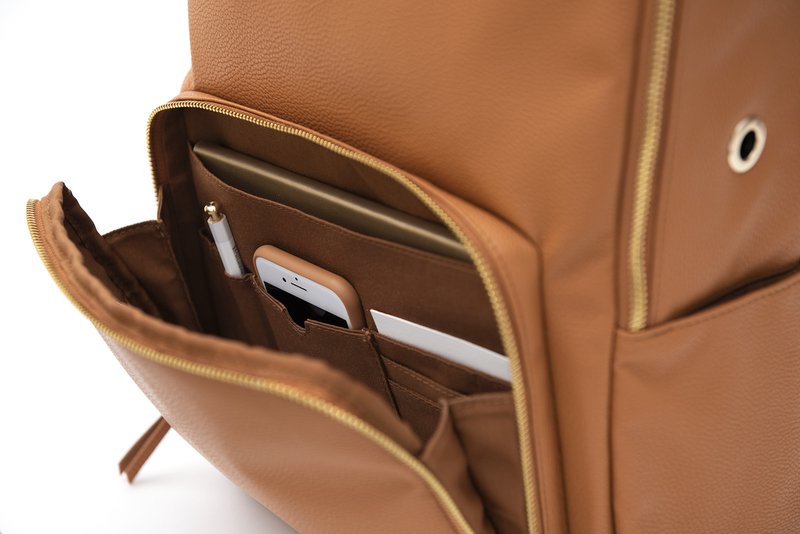 A possibly perfect vegan leather commuter backpack complete with pretty much every handy feature you could ever dream of, from pockets for a laptop, a tablet, pens, and cards to an included power bank that can be used wirelessly or with a USB. 12. A chic one-shoulder striped top from Sofía Vergara's clothing line that's perfect for anyone who just wishes spring would get here already, dang it!!!!! 13. 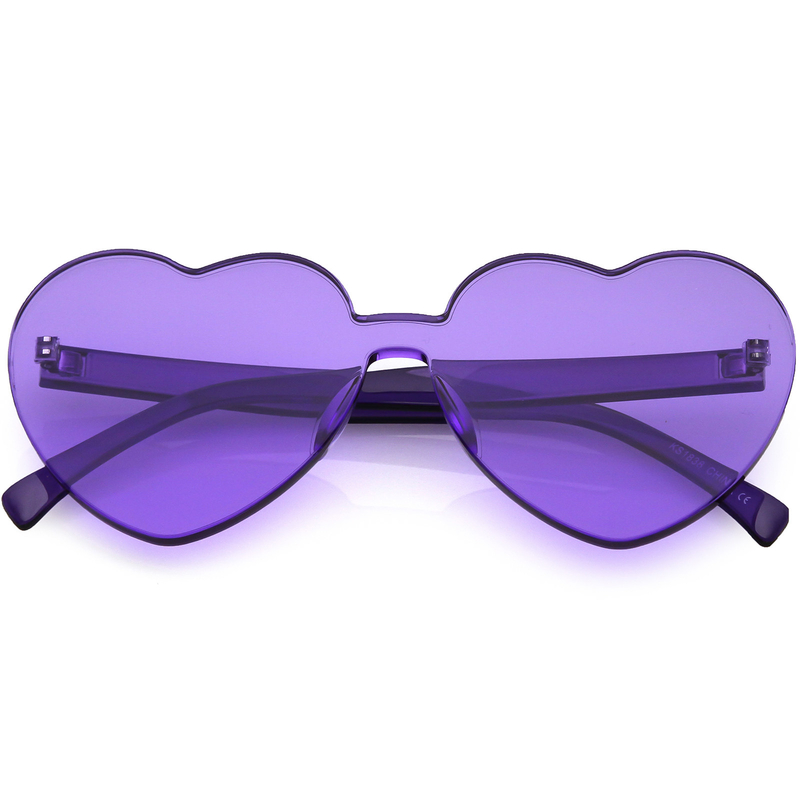 A bold ruffled number here to help you begin your purple reign. 14. 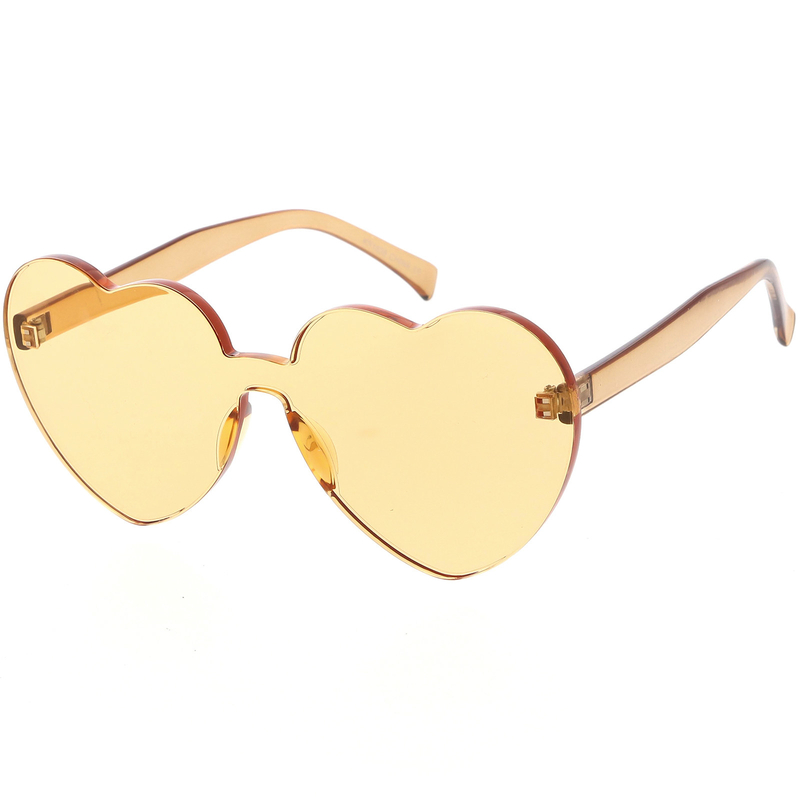 Sleek heart-shaped sunnies that are super cute without being costumey. 15. 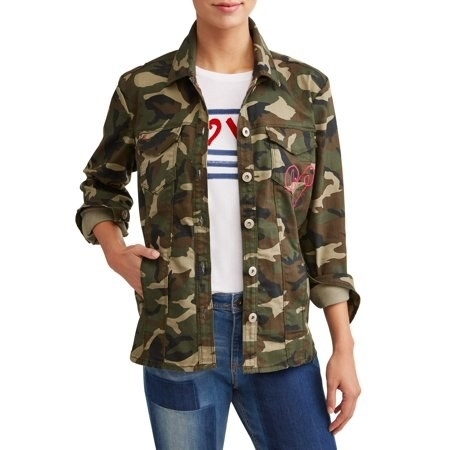 A pretty peace sign tee (also from Sofía Vergara's line) sure to have everything coming up roses. 16. A swingy work-appropriate dress that'll impress your boss even if you don't show up to the meeting right on the dot. It's machine washable, so it'll be way easier to take care of than a lot of your other work clothes! 17. Glittery stacked heel ankle booties to add a much-needed touch of sparkle to your everyday look. 18. 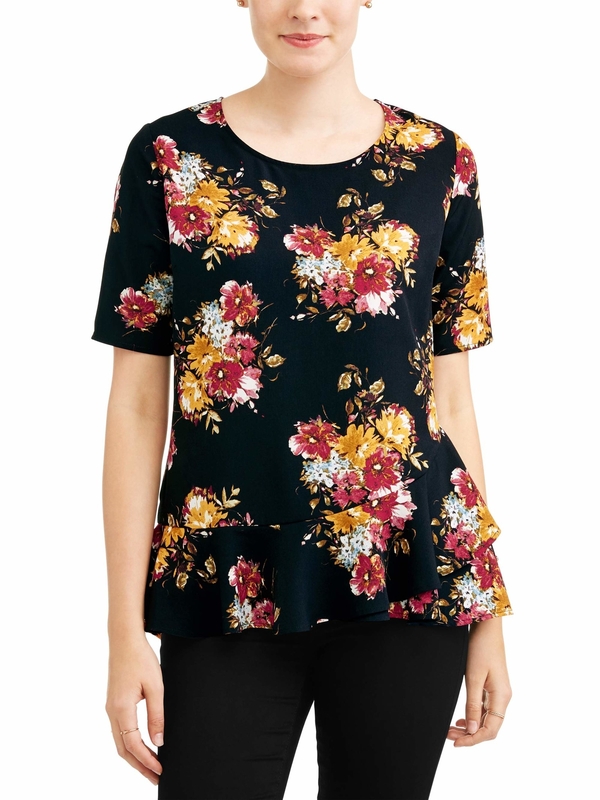 A breezy floral tunic you're sure to be head over heels for. Would you look at that? 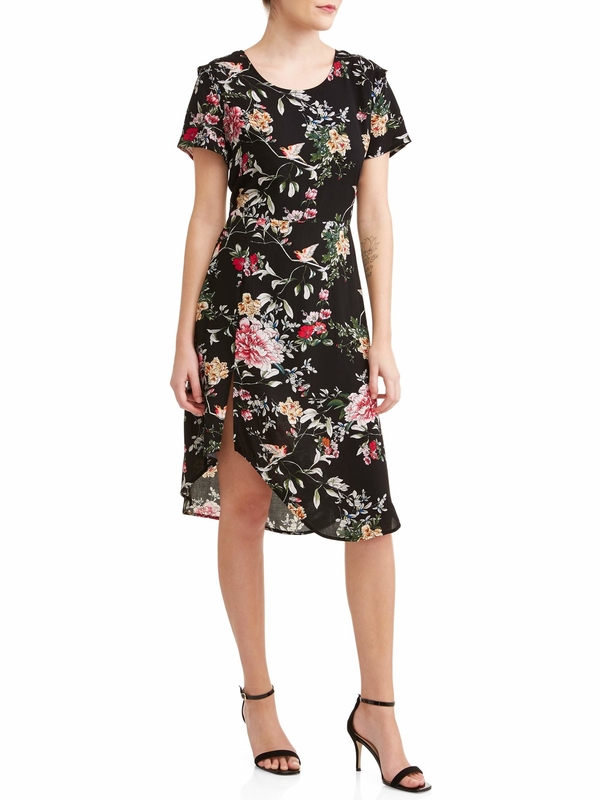 March just started and you've already found your perfect spring dress. 19. 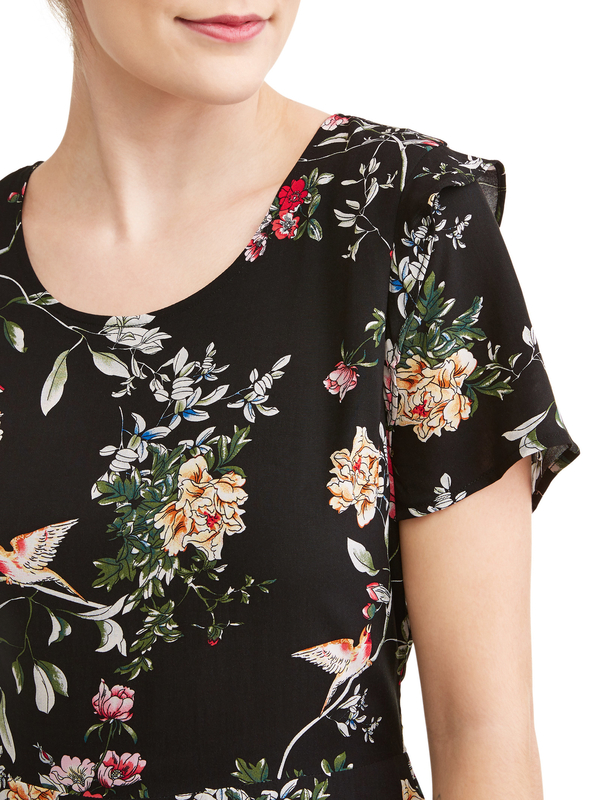 A flower-and-bird print dress to have you looking fly. 20. A drapey trench that honestly wouldn't look out of place on the streets of Paris. 21. Glam statement earrings guaranteed to have everyone green with envy. 22. A sweet lace-trimmed striped sweater that'll have all your friends asking "Crochet, where'd you get that?" 23. 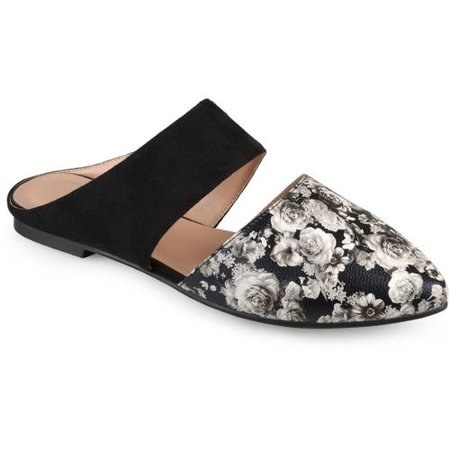 Posh patterned mules ready to give you happy feet. 24. 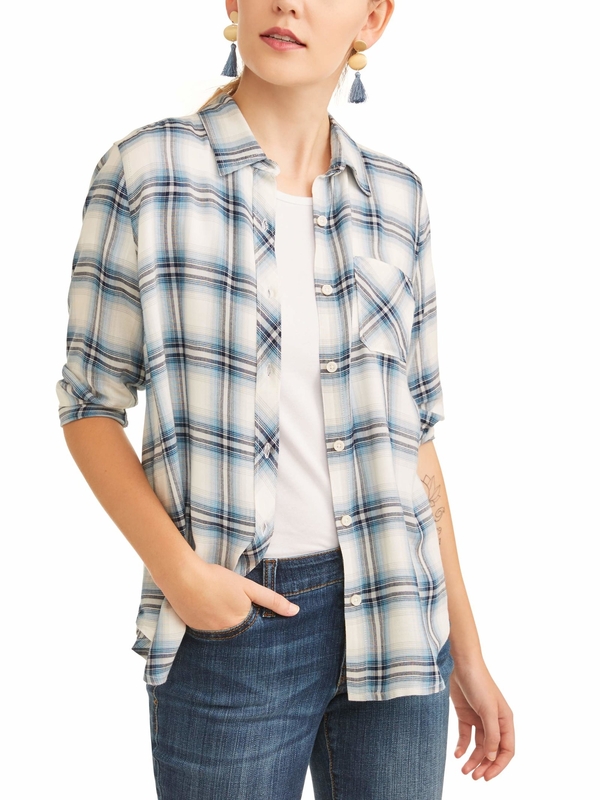 Plaid paper bag waist pants so you'll have the whole "dressing for work" thing in the bag. 25. A studded, fringed crossbody purse that's a super impressive dupe for a Rebecca Minkoff bag at the fraction of the price. 26. 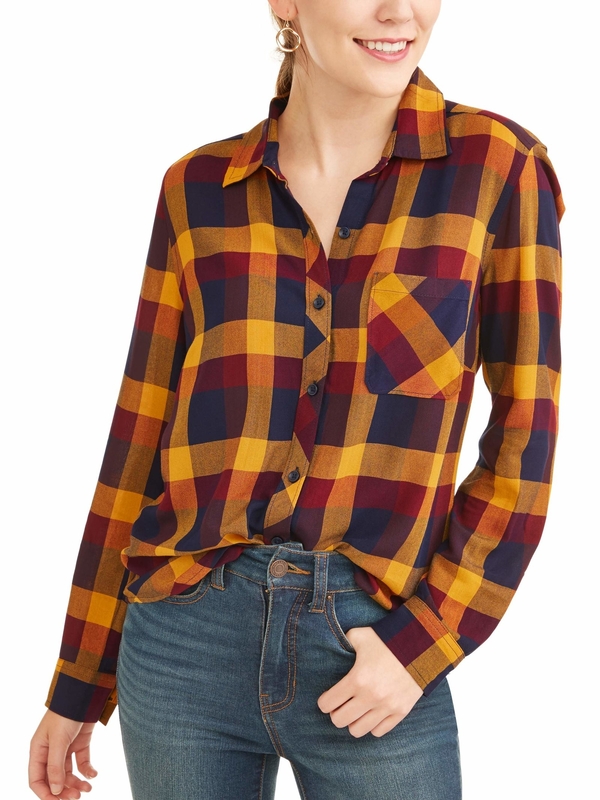 A possibly perfect plaid shirt so you can check cute weekend wear off you shopping list. 27. A Lucky Brand turquoise statement necklace to add a touch of western flair to any ensemble. Yee-haw! 28. A gorgeous lace-trimmed dress you can rock with a scoop neck or off-the-shoulder, so it's basically two dresses in one. 29. 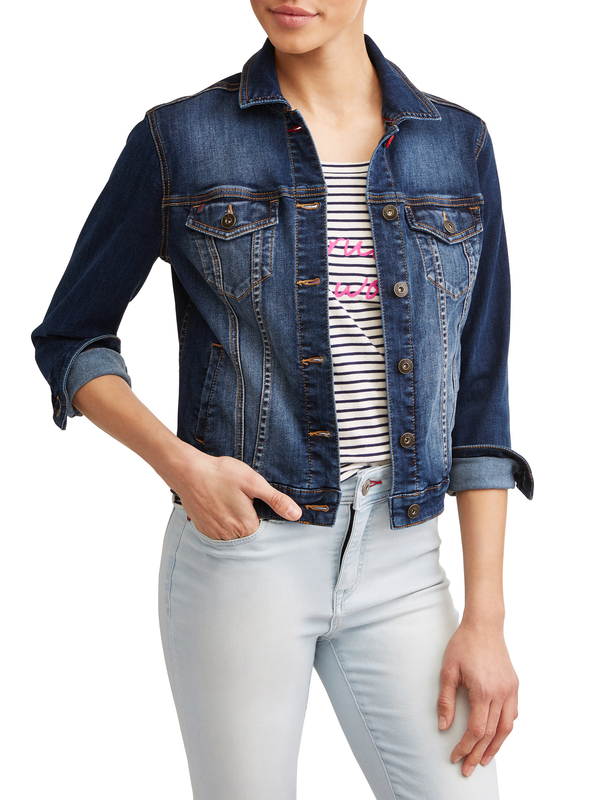 A studded moto jacket so everyone will see (*extremely Hannah Montana voice*) that you really are a rockstar. Sorry not sorry for getting that classic bop stuck in your head. 30. 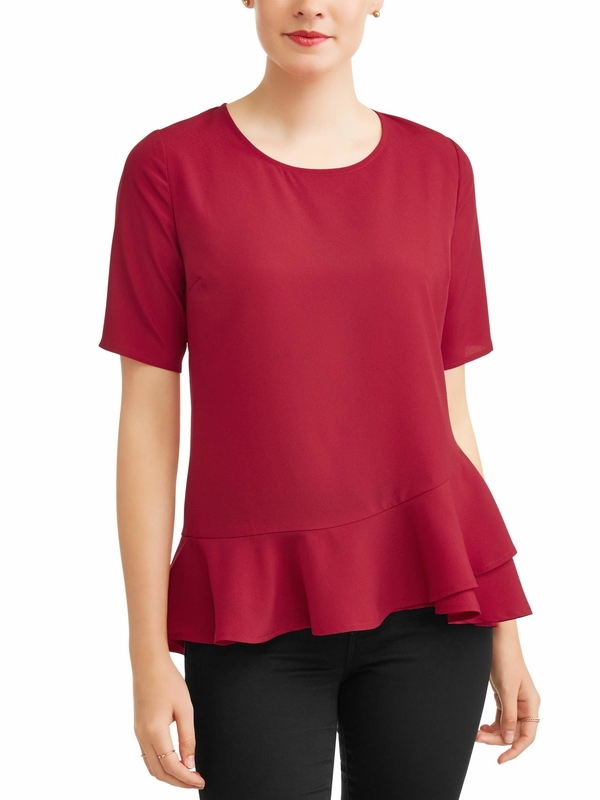 A polished peplum top that'd look equally cute with jeans on the weekend or dress pants for the office. 31. 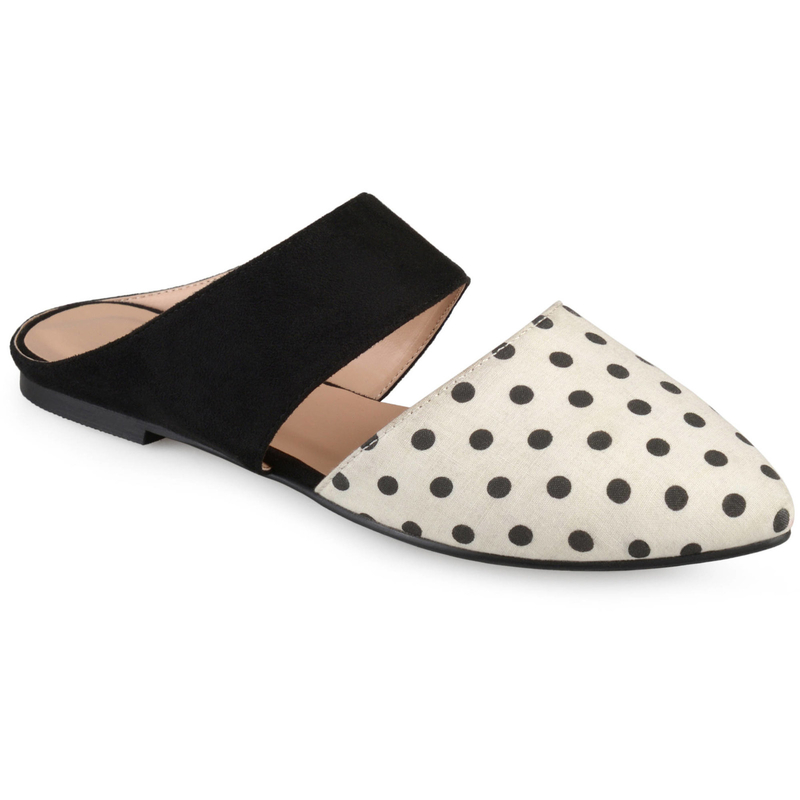 And a pair of embellished loafers to have you looking like a total stud.